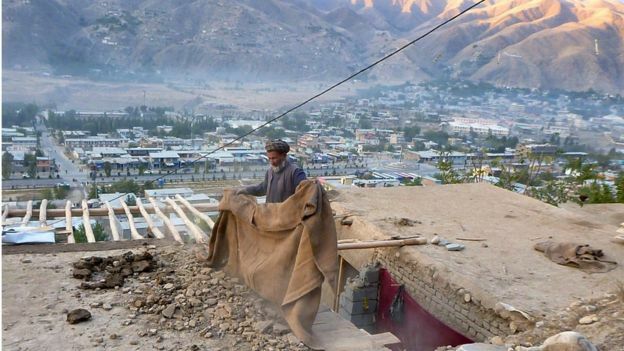 A major earthquake struck a remote area of northern Afghanistan on Monday, killing more many people there and in neighboring Pakistan, and injuring more than 1,400. 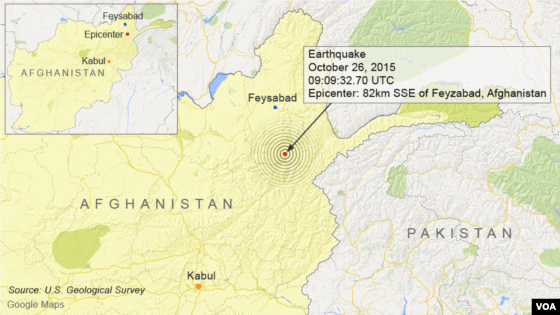 Epicentre of the quake was 82 kilometers southeast of Feyzabad in a remote area of the Hindu Kush mountain range and at a depth of 212 kilometers (131 miles), the quake registered at a magnitude of 7.5 at Richter Scale, according to the U.S. Geological Survey. 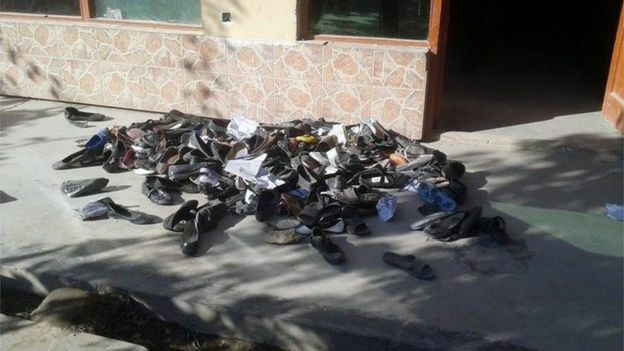 The hardest hit area was Pakistan’s northwestern Khyber Pakhtunkhaw province, where officials have confirmed at least 140 people killed and more than 1,000 injured. Hundreds of people raced from buildings onto the streets in New Delhi while the quake was also felt in the Himalayan region of Kashmir, according to an AFP reporter. More recent updates can be seen here. This entry was posted in Asia, India, News, seismic activities. Bookmark the permalink.